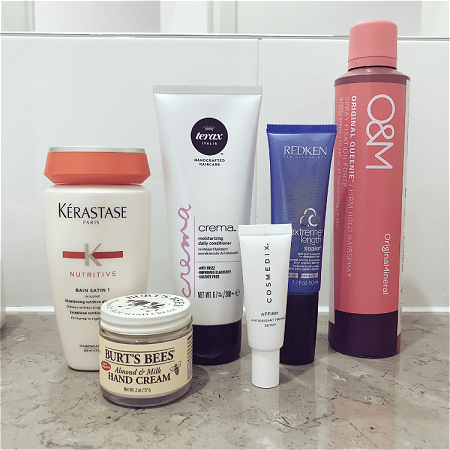 It was my birthday last week, and as well as placing a small order of books I decided to treat myself to some all-time favourite beauty products that I haven’t purchased in a while. My hair is desperately in need of a cut but I have managed to temporarily revive it using my holy grail Kerastase and Terax hair products. Also, O&M Queenie is the BEST hairspray if you have particularly fine hair like me. I tried using the other products I had squirreled in my beauty cupboard but nothing has ever lived up to the holding power of Queenie. Sebastian was sent to Singapore for work this month, and being the total sweetheart he is he offered to pop into Sephora to pick up a few things for me. After spending way too long browsing the Sephora Singapore website, I settled on the following. 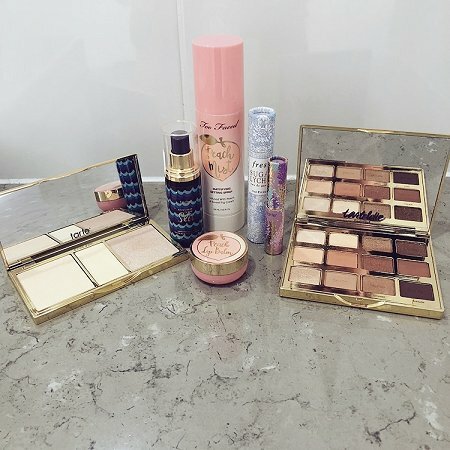 The Tarte Hydrate, Illuminate, & Glow Beauty Essentials, Too Faced Peach Mega Moisture Lip Balm, Too Faced Peach Mist Mattifying Setting Spray, Fresh Sugar Lychee Eau De Parfum and the Tarte Toasted Eyeshadow Palette. So far so good with most of the products, and the only problem I’ve had so far is that I think the Toasted Palette might be slightly too orange/yellow for my skin tone.